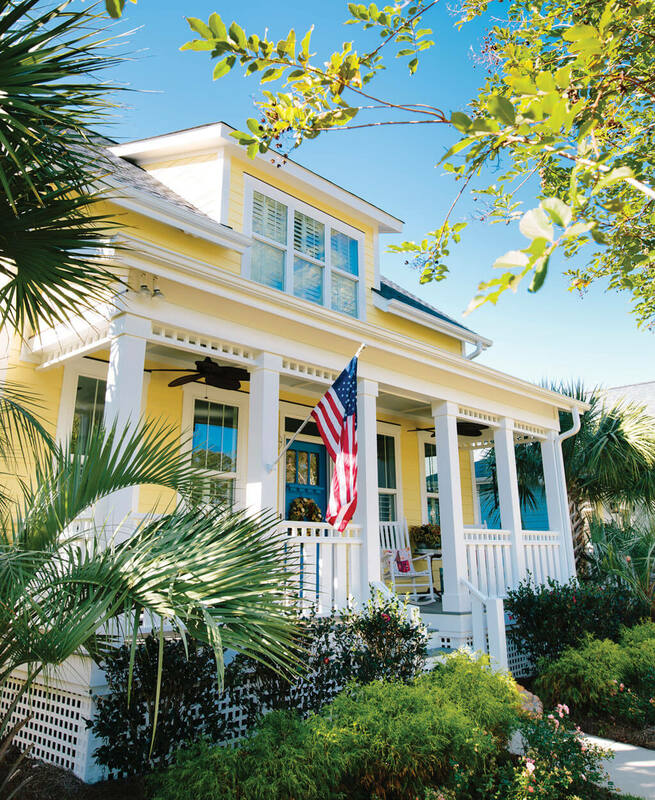 In Ocean Isle Beach, a downsized space makes room for an upsized life. From the beach, it’s an easy mile-and-a-half bike ride across the causeway, over the Intracoastal Waterway, past the Ocean Isle Fish Company and the Sugar Shack, to get home. 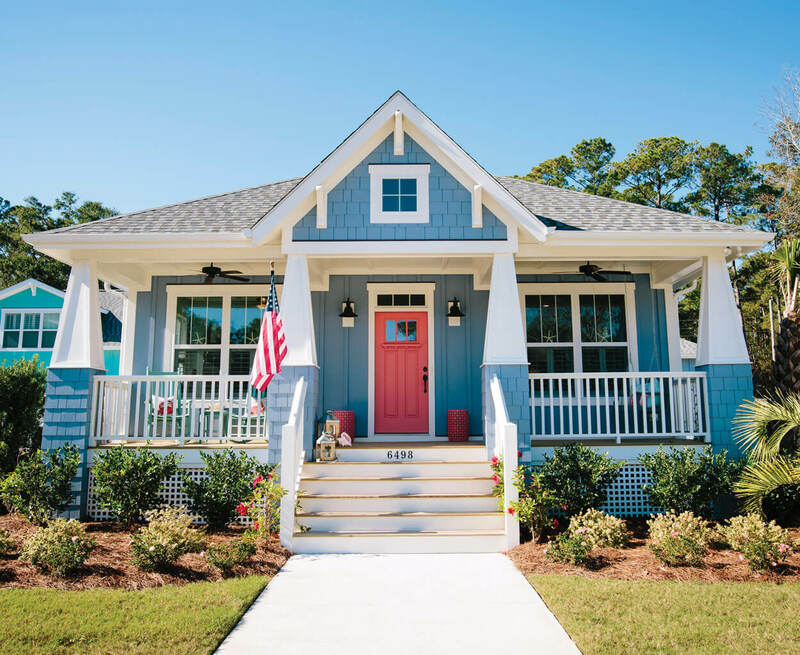 Here, in the easygoing neighborhood called The Cottages at Ocean Isle Beach, every home, custom-built to resemble Craftsman-style cottages from the 1920s, features a wide, welcoming front porch. Palmetto trees line the sidewalks; a communal firepit surrounded by Adirondack chairs encourages conversation. Blue hydrangeas and pink rose bushes complement the tropical hues of the houses. Before they’d even found their home, Mike and Erin Toste were set on their house color: blue. 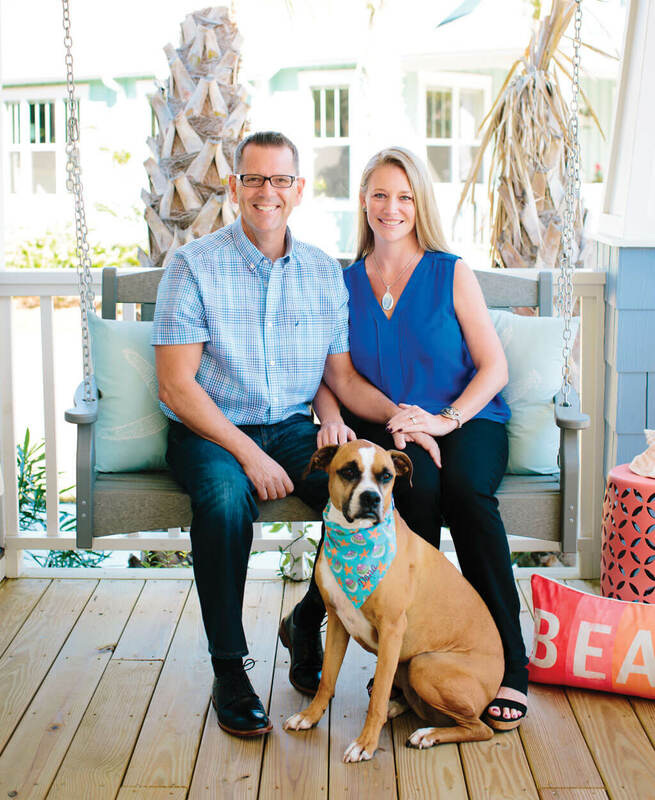 The native Californians who made their way to North Carolina — Mike’s a real estate agent in Lake Norman — have a penchant for the color of sea and sky. Even their 4-year-old boxer, Dana, sports their favorite color around his neck. 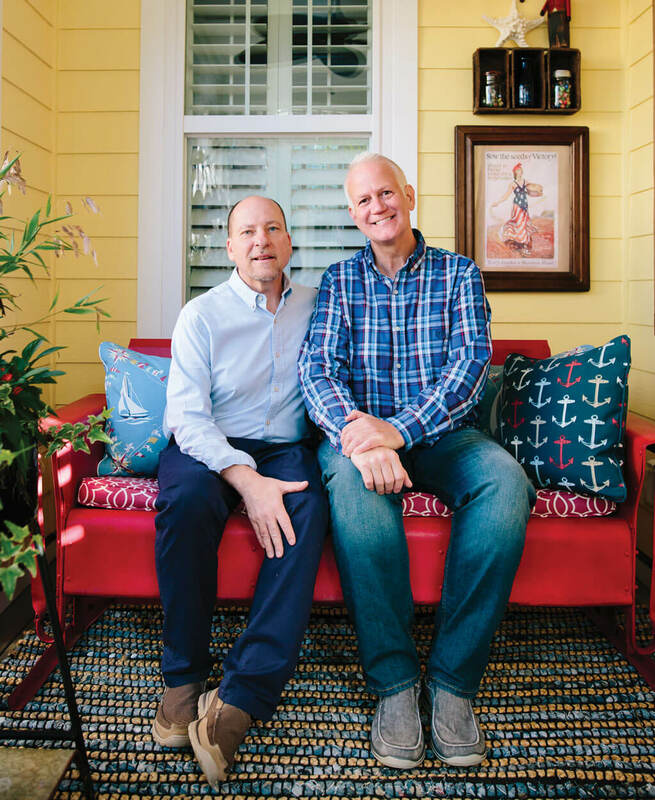 Mark Ballard and Tom Finney found their dream home at The Cottages at Ocean Isle Beach and made the move from Ohio to retire. 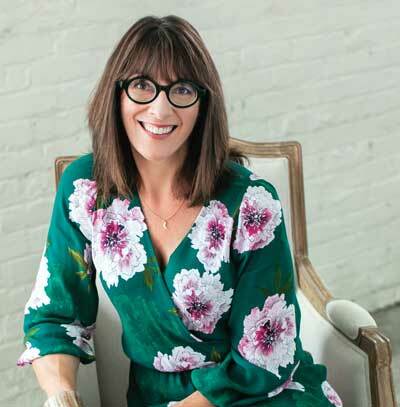 With an eye for color and their collection of Americana furnishings, they turned their two-story home into a cheerful escape. 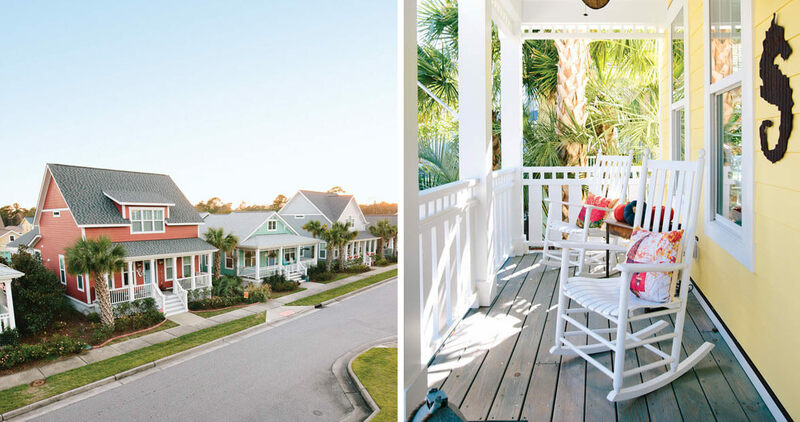 The Cottages at Ocean Isle Beach maintains two “stay cottages”: well-appointed, short-term rentals to give prospective buyers a sense of what it’s like to live here. 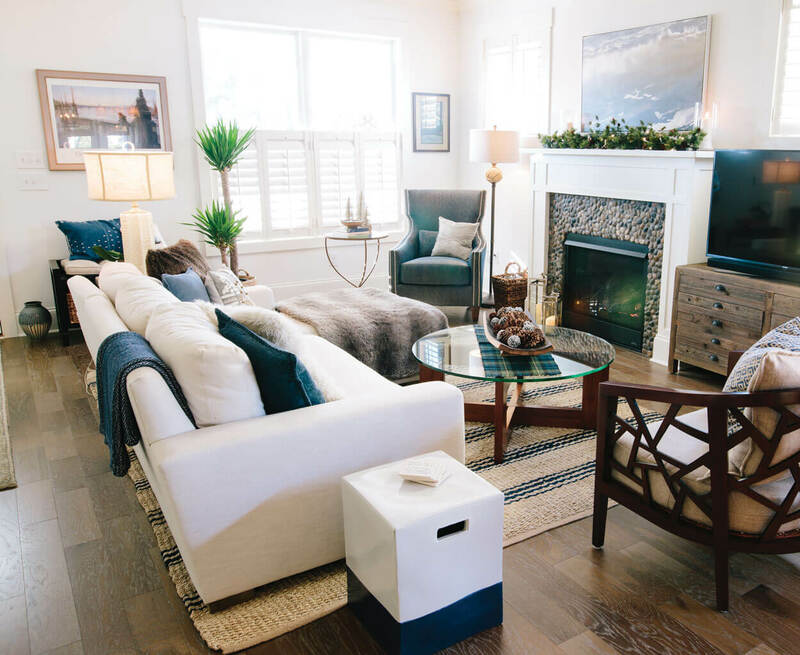 Two plans — the Seaside and the Sandfiddler — showcase luxury construction features like Rinnai tankless water heaters; Craft Master interior doors; wide-plank oak, hickory, maple, and eucalyptus hardwood flooring; and Mohawk plush frieze and Berber carpets.